Following the extremely successful New Music Biennial 2017 held in Hull City of Culture and Southbank Centre, we are delighted to announce the call for proposals for New Music Biennial 2019 is now open. New Music Biennial 2019 is presented in partnership with Hull Culture Company, London’s Southbank Centre and BBC Radio 3 with generous support from Arts Council England, Creative Scotland, Arts Council Wales, the Richard Thomas Foundation and NMC Recordings. New Music Biennial 2019 will showcase up to 20 pieces of new music including brand new commissions and pre-existing works. Please note: We are expecting applications from organisations. 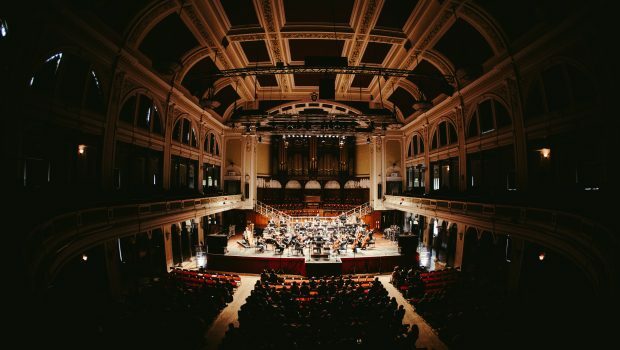 If you are a composer, this is a great opportunity for you to team up with an organisation to work with, either for commissioning a new work or re-performing an exceptional past work of yours. The New Music Biennial includes new music from across all genres: from classical and chamber opera to jazz, folk and electronic. Works should be no longer than 15 minutes in duration in response to the New Music Biennial’s aim to create a pop-up, interactive way for audiences to discover new music. fit with the festival’s vision to celebrate the breadth and talent of those making new music in the UK, reaching new audiences through imaginative programming. The deadline for applications is 5th April 2018 and the final programme will be announced in June/July 2018. The winning compositions will be selected by a panel of judges including Judith Weir (Master of the Queens Music), Vanessa Reed (CEO, PRS for Music Foundation), Sam Hunt (Executive Producer, Hull UK City of Culture), Elizabeth Alker (BBC 6Music and BBC Radio 3), Kevin le Gendre (broadcaster/journalist), Gillian Moore MBE (Director of Music, Southbank Centre), and chaired by BBC Radio 3 Controller, Alan Davey. The twenty commissions will receive public performances at the two festival weekends in London’s Southbank Centre on 5 – 7th July and in Hull 12 – 14th July 2019. We are also encouraging applicants to plan performances in other parts of the UK where possible. The New Music Biennial will also be broadcast across BBC Radio 3. Listen to the the New Music Biennial 2017 pieces on the BBC Radio 3 website here. Please do get in contact with naomi@prsfoundation.com if you have any questions. Please note that projects awarded funding from New Music Biennial will not be eligible to apply for partnership funding from Creative Scotland’s Open Project Fund for the same project. This is because New Music Biennial is already supported through the Open Project Fund.